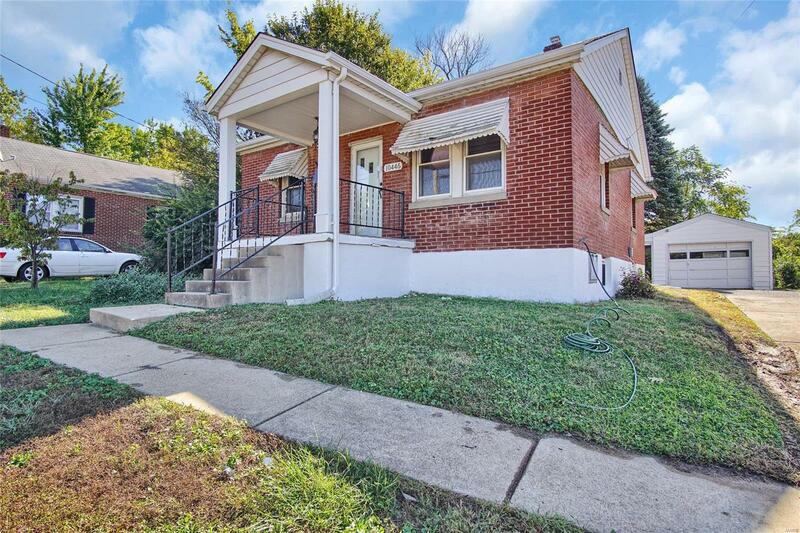 All brick bungalow, move in ready! freshly stained hardwood flooring throughout, 2 bedrooms and 2 full baths. Two living areas, more intimate with wood burning fireplace and a ton of windows that bring in a lot of natural light and yet private being at the back of the home. Eat in kitchen with plenty of cabinets space. Full basement with additional rec/family room and full bath. There is a 1 car detached garage and porch off the garage that can be screened in and make an excellent screened in porch! Close to shopping, great spot to be!